PHOENIX- If there’s one position the Phoenix Mercury would like to be in, it’s a single elimination situation. That’s exactly where the team will be after it erased a double-digit lead in its semifinal Game Four, 86-84, win on Sunday to become the first team in WNBA history to force a decisive game in a best-of-five series. Game Five tips off at 10 p.m. ET on Tuesday, just after the Atlanta Dream and Washington Mystics meet in the other semifinal’s ultimate game. Diana Taurasi is 13-0 in winner-take-all elimination games for her career (including 8-0 on the road), while the Mercury is 6-0 in the new first-and-second round playoff format the past three years. If you want to add her UConn and Olympic years, Taurasi is a whopping 49-6 in career games while facing the end of the season. But it has been teammates like Brittney Griner, DeWanna Bonner and Yvonne Turner who have stepped up in the series’ two games in the desert. 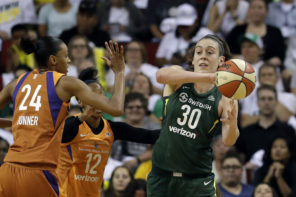 Griner led all players with 29 points and 12 rebounds in Game Four and prevented Breanna Stewart from getting off a shot in the final Seattle possession. Bird collided with Stewart midway through the second quarter, and she did not return in Game Four. Seattle continued to build its lead without the WNBA’s career assist leader with an apex of 60-44 in the third quarter. 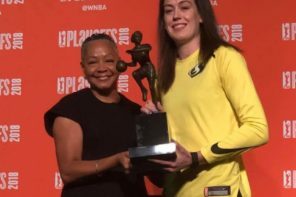 Hughes brought in Noelle Quinn, a 33-year-old veteran of nearly 400 WNBA games to take over for rookie Jordin Canada at the point for the closing minutes. “We came out a lot better today, established a lead and then had to deal with them coming back,” Hughes added. “I was pleased because we took the hit and got it back to a tie situation. We’ll head home and get ready for Game Five. I wanted a veteran, a settling influence, and I knew we weren’t going to score on quick action. She (Quinn) understands what we needed to do. 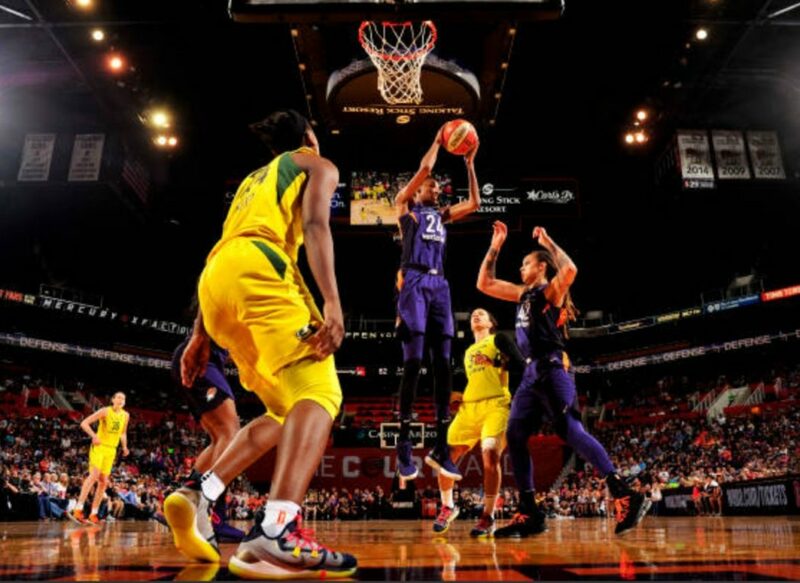 Quinn is still searching for her first Finals appearance, as is 11-year veteran and two-time All-Star Crystal Langhorne on this group that could become the third different complex of Storm players Bird guides to a title (2004 and 2010). What the Storm doesn’t want to be now is the 1994 Seattle SuperSonics, the first NBA team to blow a 2-0 lead in a best-of-series. The eighth-seeded Denver Nuggets upset the Sonics in the final game at Seattle Center Coliseum before it overtook renovations, dispersing the team to the Tacoma Dome for a year. That renovated arena is now home to the Storm and is in line for another fix-up after this season. Will the Storm suffer the same fate?